Sunday was a very exciting day as Lace Cosmetics staff worked on a photo shoot for our new marketing and promo materials. We had several models in and out throughout the day and got to use our new powder foundations (in stores soon) for the first time! The powders photographed beautifully and I cannot wait to release them to the public. They're kinda major. Just saying. On another exciting note, the new powders are printed with our NEW LOGO! If you follow us on Facebook, Twitter and/or Instagram (@lacecosmetics), you have probably seen the new logo pop up here and there. 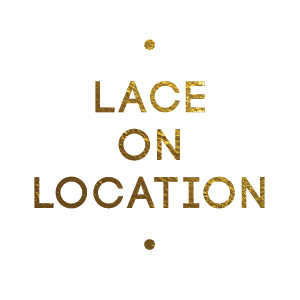 Over the next few weeks, you will see everything switch to the new look of Lace! Thanks to this Pic Stitch that was Instagramed by @ATLSunita, you can see the packaging for Lace Cosmetics' NEW powder foundation that will be in stores and online soon. Party time! Throwing confetti and jumping around... that is what a Lace girl like to do. Photographer Niki Malek can always make our models feel fun and playful when it's time to get in front of the camera. I decided to try my hand at styling hair. I may not be a trained stylist but I know how to tease some hair. Here is my AMAZING makeup artist, Leah. She did an incredible job with our models and was a complete life saver by working this shoot with me.